Now that Facebook has shown how little it cares for my privacy, I’m going to check out some new social networks. Who’s with me? Yeah, I didn’t think so. During his testimony before Congress on Tuesday, Facebook founder Mark Zuckerberg said he regarded Apple, Google, Amazon, and Microsoft as competitors. But he and his fellow Facebook executives are surely the only ones who think that way. Powerful as they are, none of the other tech giants offer anything like Facebook’s all-inclusive social network. Google took a crack at it a few years ago with Google Plus, and if you’ve got a Gmail address you’ve probably got a Google Plus account as well. And when was the last time you used it? Still the privacy crisis at Facebook could open the door to competitors. I’ve been testing a couple of them, called MeWe and Idka, that promise to respect their users’ privacy. Another thing they have in common: They’re mostly empty. And I bet they stay that way. The world badly needs an alternative to Facebook, a superb service built on the ruthless exploitation of our personal data. But there are two massive barriers in the way. First, few people have heard of them. This leads to the “Ghostbusters problem,” as in: Who you going to call? Hardly anyone you know uses these services. And the ones who are there, the early adopters, may be the sort of people you’d find outside a bar at closing time. And then there’s the problem of money. For nearly two decades, the Internet has taught us to sacrifice our privacy in exchange for free stuff. But we really do pay for Facebook, in the form of personal data that the company uses to create customized advertising campaigns worth billions of dollars. MeWe and Idka don’t sell ads, and vow not to collect, process, and sell your personal data. So while Facebook asks its users for every detail of their lives, these new networks are asking for their money. Idka is a Swedish concern, whose site went live just before Easter and is off to a slow start, despite the privacy crisis at Facebook. Founder Goran Wagstrom acknowledges Idka gets about 500 signups a day — about 4,000 total, so far — and half or so are from the United States. At that rate, Idka will become a meaningful Facebook rival in, oh, a couple of centuries. Wagstrom isn’t out to replicate the Facebook model. “Idka’s for your closest friends, your family,” he said, not for people who want a thousand “friends” they’ve never met. Maybe the service will only attract, say, 10 million people. That’s fine if they’re the right 10 million. And of course, if they are willing to pay. For now, Idka is free, but in the long run, Wagstrom is counting on a “freemium” strategy, where people who want more than two free gigabytes of online storage, for stuff like vacation videos, can buy more; think $2 a month for 10 gigs. Idka is also building an enterprise version for companies to install on their networks, at $10 per employee. He has 10 testing it now, and if enough sign on, that should keep the doors open. So Wagstrom hopes, because there’s not much at Idka to appeal to the lone consumer. There’s the “nobody’s here” factor of course, and it’s compounded by a drab and clumsy user interface that will turn off all but the most adventurous users. I was more impressed with MeWe, a sleek, attractive site that debuted in 2016. Chief executive Mark Weinstein says MeWe is signing up about 10,000 new members per day and has about 1 million so far. Like Idka, MeWe is going with a freemium approach, trying to sell users extra features, and a paid version for businesses. The most difficult part of using Idka or MeWe is finding out they exist. Signing up is as quick as entering your name and an e-mail address. MeWe wants a more Facebook-like personal profile, but it’s mainly to help users find people of similar tastes. You can provide as much or as little detail as you like. You can browse interest groups to find new friends — MeWe has many more than Idka, on a variety of topics, from classic movies to cooking to left- or right-wing politics. On a typical Facebook forum, you’ll see hundreds of fresh messages per day. At MeWe, it’s more like one or two. MeWe and Idka aren’t the first to build privacy-centric social networks. Remember Gab? That’s the Twitter substitute founded by Trump supporter Andrew Torba. Gab was originally touted as an open forum where partisans of the left and right could thrash out ideas free from Twitter’s heavy-handed censorship, Instead, it’s become an alt-right sludge pit, and a favorite hangout of nasty bigots. And Gab reports that its own freemium offering has just 3,800 paying customers at $6 a month, out of 400,000 total users. That works out to about $274,000 in annual revenue. Facebook rivals like MeWe and Idka will have to do a lot better than that. Whether they will depends on us. I’m sure that millions of Americans care about Facebook’s shameless abuse of our personal data. But do we care enough about our privacy to pay for it? 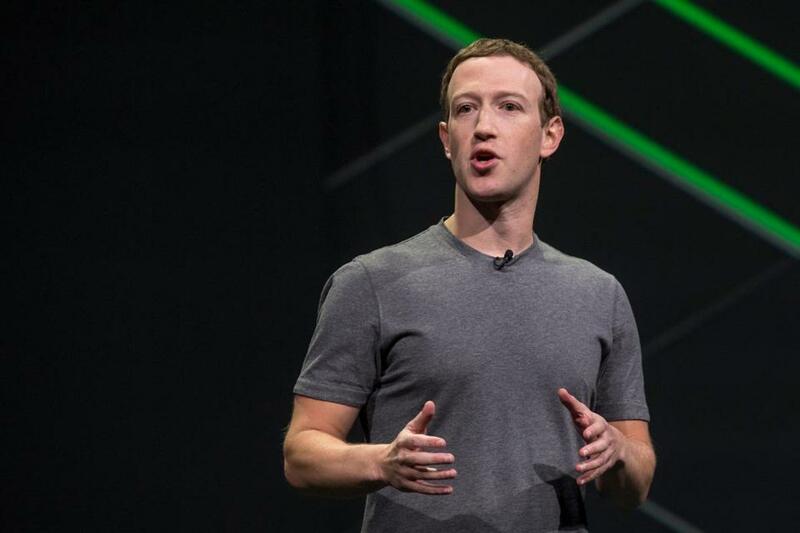 Facebook founder Mark Zuckerberg is probably figuring the answer is no, and it’s hard to bet against a billionaire who got that way by exploiting the personal data of two billion people. We let him do it. Some of us want the government to make him stop, when really, we should just take our business elsewhere. I don’t think we’re up for it. Care to prove me wrong?